Can your executor and successor trustee be the same person? Usually, yes. But, should they be? Well, it depends. First, it helps to understand the role of the executor and the successor in your estate plan before you make a decision. When it comes to your estate, making an informed decision is better than making an uninformed decision. In simplest terms, the individual you name in your will as executor of your estate is responsible for guiding your estate through the probate process. This involves working under court supervision to a great extent. They will gather and identify your assets and do the same with your debts and liabilities. They will alert your creditors as to how they can make claims to your estate for payment. They may have to ​liquidate some of your assets to pay them. They will report everything they've done to the probate court judge and receive permission to distribute your remaining estate to the beneficiaries you've named in your will. Barring complications, your successor trustee will perform their job without court intervention. They won't do anything at all until you die or unless you become incapacitated. Their only job is to wait in the wings until you need them. If you're naming a successor trustee, it means that you're setting up a revocable living trust, the kind you retain control over because you act as the primary trustee. You can move assets in and out of your trust, change your beneficiaries, or even revoke your trust entirely if you decide you no longer need it or want it. But someone has to take over this role if you can no longer manage your affairs. If you should become incapacitated, your successor trustee will step in to run the trust for you. After your death, they will distribute the assets contained in your trust to your named beneficiaries and, in most cases, shut it down. Naming the same person as the executor of the estate and successor trustee of your revocable living trust will minimize expenses. The attorney helping to settle the estate and the trust will only have one person to work with when addressing issues that may come up. Your estate is responsible for paying the attorney, so the less work they have to do, the more money will remain in your estate. As a result, more assets will go to your beneficiaries instead. 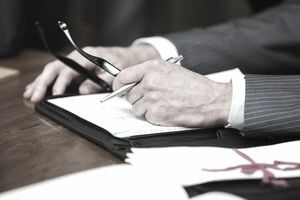 You may want to name a different executor and successor trustee to provide checks and balances when it comes to settling your estate and trust. No one single person would have unilateral control. If you are having a hard time choosing among your children or other relatives, consider naming one child or relative as your executor and two children or relatives as successor co-trustees to avoid beneficiary feuds and promote family harmony. Naming the same person as your executor and successor trustee can also present complications depending on the laws of your state. For example, if you live in or own real estate in Florida, your executor must be related to you by blood or marriage to legally serve. You can name anyone you like to serve as your successor trustee, however. So your best friend who lives in New York can't serve as your executor, but you can name them to serve as your successor trustee. Some other states have similar rules. Consult with an estate planning attorney to find out if yours is one of them. With all that said, your estate will avoid probate in most cases if your revocable living trust is completely funded. You've transferred all your property and assets to its ownership. This means that your last will and testament and the executor you've named won't have much to do in any event. Their only job would be to deal with any assets that you may have neglected to place in your trust. Otherwise, there will be nothing to probate and your trust will control your bequests to heirs and friends.